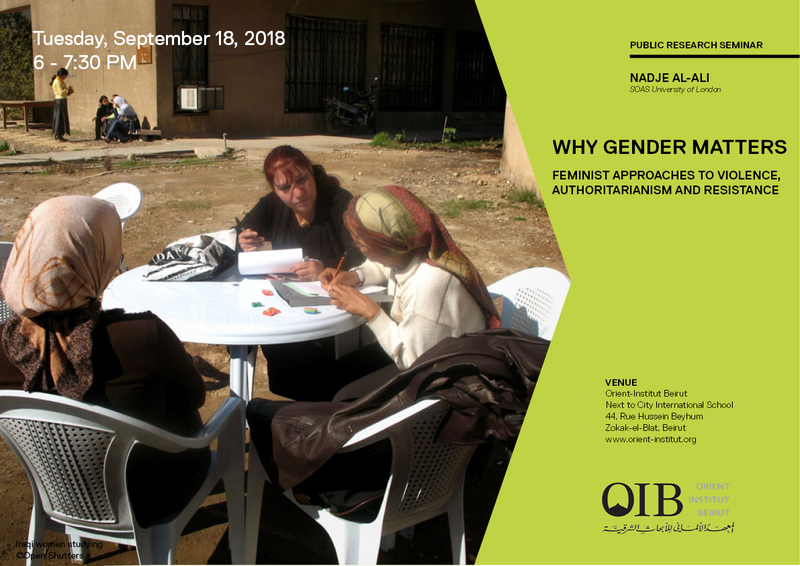 The talk will address gender as a central analytical concept in understanding contemporary processes and developments in the Middle East, and ask what feminist scholarship has contributed to our understanding of developments in the region. In this context, I will pay particular attention to protest movements, increasing authoritarianism and sectarian/ethnic politics. Based on ethnographic research in the contexts of Egypt, Iraq, Turkey and Lebanon, I will discuss the significance of body politics and the wider politics of gender as a litmus test for assessing regimes and social contexts. Throughout my discussion, I will also critically engage with the question of positionality when researching and writing about gender-related issue in the context of the Middle East. How can we avoid the exceptionalism so frequently attached to the Middle East (especially in relation to current debates about North-African. Middle Eastern and Muslim refugees and asylum seekers in Germany), challenge ideas of gender-based violence being inherent in local cultures, without glossing over various local and regional forms of gender-based violence? Nadje Al-Ali is Professor of Gender Studies at the Centre for Gender Studies, SOAS University of London. Her main research interests revolve around feminist activism; transnational migration and diaspora mobilization; war, conflict and peace; as well as art & cultural studies; mainly with reference to Iraq, Egypt, Turkey and the Kurdish women’s movement. Her publications include What kind of Liberation? Women and the Occupation of Iraq (2009, University of California Press, co-authored with Nicola Pratt); Women and War in the Middle East: Transnational Perspectives (Zed Books, 2009, co-edited with Nicola Pratt); Iraqi Women: Untold Stories from 1948 to the Present (2007, Zed Books); Secularism, Gender and the State in the Middle East (Cambridge University Press 2000) as well as numerous book chapters and journal articles. Her co-edited book with Deborah al-Najjar entitled We are Iraqis: Aesthetics & Politics in a Time of War (Syracuse University Press) won the 2014 Arab-American book prize for non-fiction. She is a member of the Feminist Review Collective, and is on the editorial board of Kohl: a journal of body and gender research.